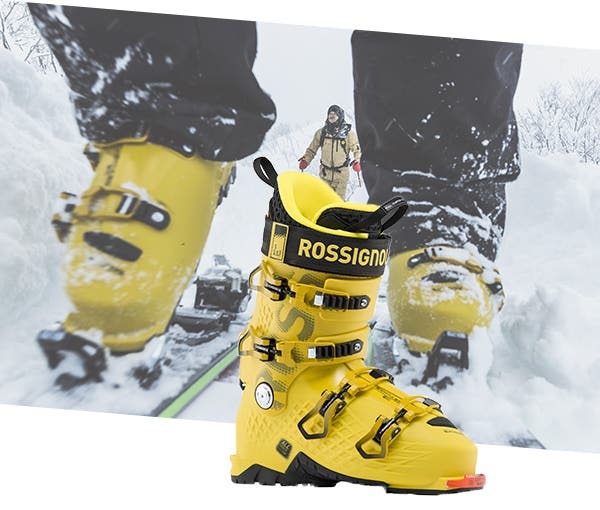 Rossignol’s 2018/2019 range of ski boots breaks into a new segment: Free Touring with the ALLTRACK LT range. These new-generation boots were designed using cutting-edge 3D technologies based on Generative Design. The result is a thinner, lightweight structure based on Generative Design Grid, and a high-performance Hike Mode mechanism with a wide range of motion at the back for easier climbing. Skiability is excellent too thanks to Dual Core technology. The Generative Design Grid structure produces thinner layers of material to save on weight - while maintaining a structure rigid enough for excellent skiability. The concept also allows a reduced shell length, from 308 mm to 305 mm (size 26.5), for a thinner, more compact but high-performance shoe. > An optimised axis of rotation: 6 mm lower than on an ALLTRACK boot. > A new shape for the shell base: more cut away at the back (wider opening, to 50°) for excellent freedom of movement when climbing. > A mechanism for unfastening the metal collar, for a more rigid boot structure. 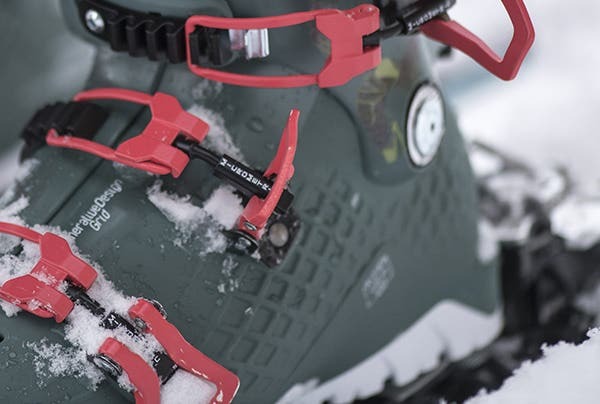 This concept produces increased flex with the performance of a fixed-collar boot. The new Alltrack LT offers lightness, freedom, efficiency and precision. The new-generation ALLTRACK ELITE 130 LT with a Grilamid shell has a 98 mm “narrow fit” last inspired by racing. 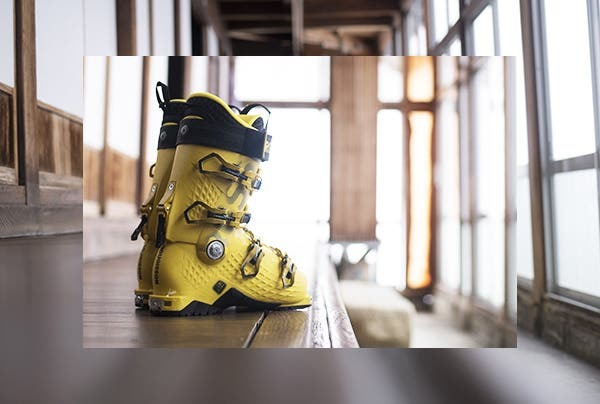 The combination of Generative Design Grid and Dual Core shell technologies allows a reduction in the boot’s weight (1690 g for size 26.5), while increasing both rebound and energy transmission. Dynafit® certified inserts and an optimised axis of rotation guarantee unrivalled freedom of movement during Free Touring. Grip Walk walking heels available in kit form. 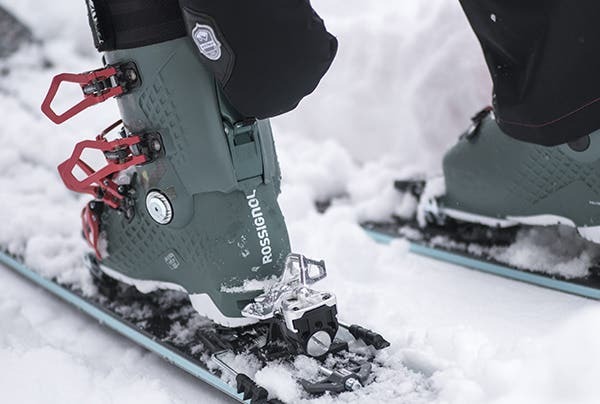 These women needed a no-compromise boot for Free Touring. The ALLTRACK LT ELITE 100 W with a Grilamid shell uses the latest Generative Design Grid and Dual Core technologies. 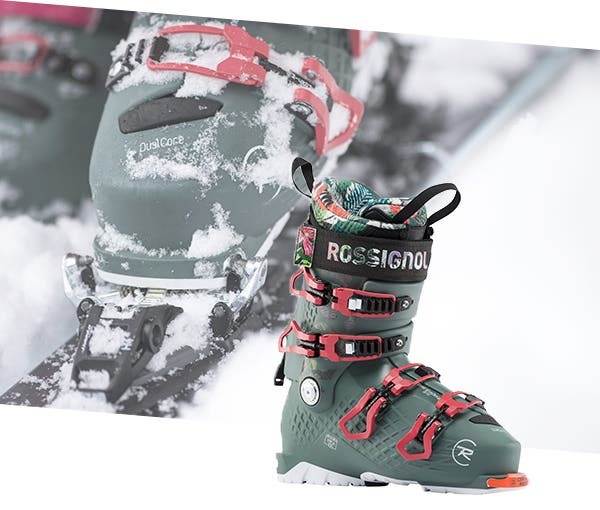 We’ve thought of everything to maximise comfort both uphill and down, with a special collar and liner, a “skinny fit” 98 mm last, a reduced weight of 1500 g in size 24.5, and Thinsulate Platinium insulation. And the finishing touch? Its trendy tropical design! Grip Walk walking heels available in kit form.